A faucet is probably one of the essential fixtures in your bathroom. 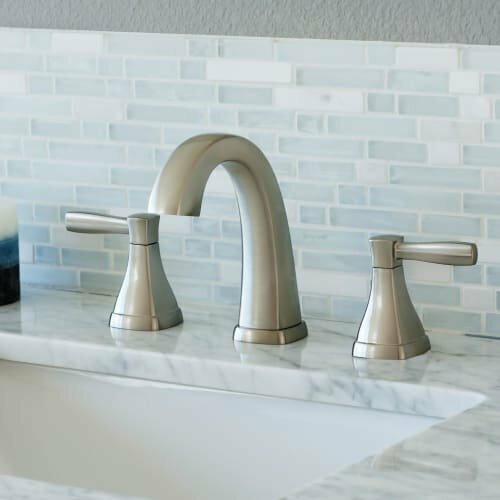 It is more than just a functional piece of hardware – it can help you save water, complement the design of your sink and it can create a style statement. You need to choose the best bathroom faucets that will remain leak-free for years. The faucet should be something with smart design elements and have well-structured parts. Before you make a purchase, it is essential that you know something about the product that we are going to recommend – Miseno Elysa-V MNO641 widespread bathroom faucet. Miseno Faucet Reviews 2019: Who Will Benefit From It? 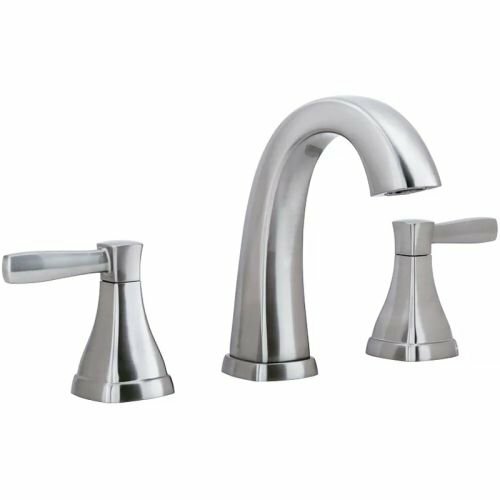 Which is the best finish for the bathroom faucet? How would you know which faucets are the best among the rest? How to choose the perfect bathroom faucet? Miseno Elysa-V MNO641 bathroom faucet has features that are recommended for homeowners who want to have a stylish bathroom. Since this product is made of quality materials, you can rest assured that this faucet will last longer. The Miseno engineers specially designed products that will outfit any kitchen and bathroom in classic style as likewise providing exceptional value. It does not matter if your bathtub or bathroom sink is made-to-order; every Miseno faucet is crafted to be an elegant, durable and reliable addition to your home. Each product manufactured by Miseno is cautiously tested to ensure flawless functionality for many years to come. When it comes to a faucet, one that is made of brass remains to be the preferred bathroom fixture. The Miseno Elysa-V MNO641 has a solid brass construction in the handle and body, which is corrosion-resistant that will assure you longevity. Unlike other faucets at the same price range with Miseno, this product uses only the best quality ceramic valve cartridges to assure drip-free performance for the life-span of the faucet. All the Miseno products have premium quality plated finishes, which are engineered to make it corrosion-free, resist discoloration, water damage and tarnishing. This makes the product the preferred faucet by most homeowners. Even the cheapest Miseno faucet has plated finish, so it does not matter which design you choose from this brand, you are assured of getting the best product. One of the recent technological breakthroughs that improve the performance of faucets and brought it to the highest level is the slow flow aerators. The Miseno engineers make slow-flow 1.2 GPM faucets as if they put out the volume two times. This certification assures the users that you can save water if you use this product. WaterSense is a partnership program by the United States Environmental Protection Agency or USEPA. It aims to protect the future of the country’s water supply by providing the easiest way to use less water by using a water-efficient product, services, and new homes. Miseno faucets use at least 30% less water as compared to standard 2.2 GPM faucets while adhering to the strict performance guidelines at the same time. Unlike other bathroom faucets, Miseno faucets are covered by a Limited Lifetime Warranty on both functions and finish. The product finishes resist tarnishing, and the faucets are designed to rival the most popular names in the market today. Polish brass is one of the best options you can go since it is easy to clean and is very durable. 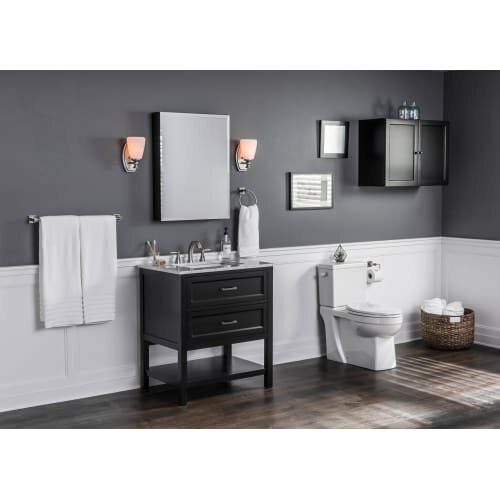 Matching it with other fixtures and accessories in your bathroom is easy. The best way to know which faucet is best for your bathroom is by reading the reviews of a specific brand. This will help you compare the different bathroom faucets available in the market. In choosing the best bathroom faucet, you need to consider the following factors – mounting, types of handle, size, finishes, low-flow faucets, price, and other accessories. If you are looking for a durable but elegant bathroom faucet that will compliment your bathroom design, the Miseno Elysa-V MNO641 Widespread Bathroom Faucet is a good choice. It is WaterSense Certified, so you are assured there will be less water wasted. Also, because of its brass finish, you will be using it for many years. Since Miseno has two handles for hot and cold water, you will not have any problem if you need hot water.